Welcome to this month's HYBRID CHALLENGE! To complete this month's challenge, you will need to follow the instructions for one of the two "Hybrid How-To" tutorials that will be posted on the The Digital Press blog during October 2018. You will use the Hybrid How-To blog post of your choice (either the October 6th post or the October 20th post**) as the inspiration for your project. Then, you'll complete the project and make sure to post the image of your completed project -- both here and in the Challenge Gallery. Remember, this must be a hybrid project (not just a digital project that's inspired by the hybrid projects) -- so break out your crafty goodies: glue stick & scissors, etc... and have fun creating one of these hybrid projects! ** UPDATE: we had a glitch with our second Hybrid How-To post of October 2018, which was supposed to go live today (10/20). As such, we're going to amend this month's challenge -- and allow our participants to choose ANY previously-published Hybrid How-To post from The Digital Press blog as their second option for October 2018. Thus, anyone who wishes to participate in this challenge during the October 2018 cycle has some freedom in terms of the project that can be completed. We ask that if you choose this option... you link up the TDP blog post you decide to use, below, when you post the image(s) of your finished project. You can find the Hybrid How-To category and its archives on the blog HERE. Your creation must be a hybrid project that is based on one of the two "Hybrid How-To" blog posts of your choosing from October 2018 (either 10/ or 10/20). Your creation must be made using 100% TDP products (other than any physical supplies you need), and must be loaded into the gallery no later than 11:59 pm ET on October 31st, 2018. Last edited by Laura Passage; 10-21-2018, 02:41 AM. Awesome! I love making bookmarks! How fun is that!! 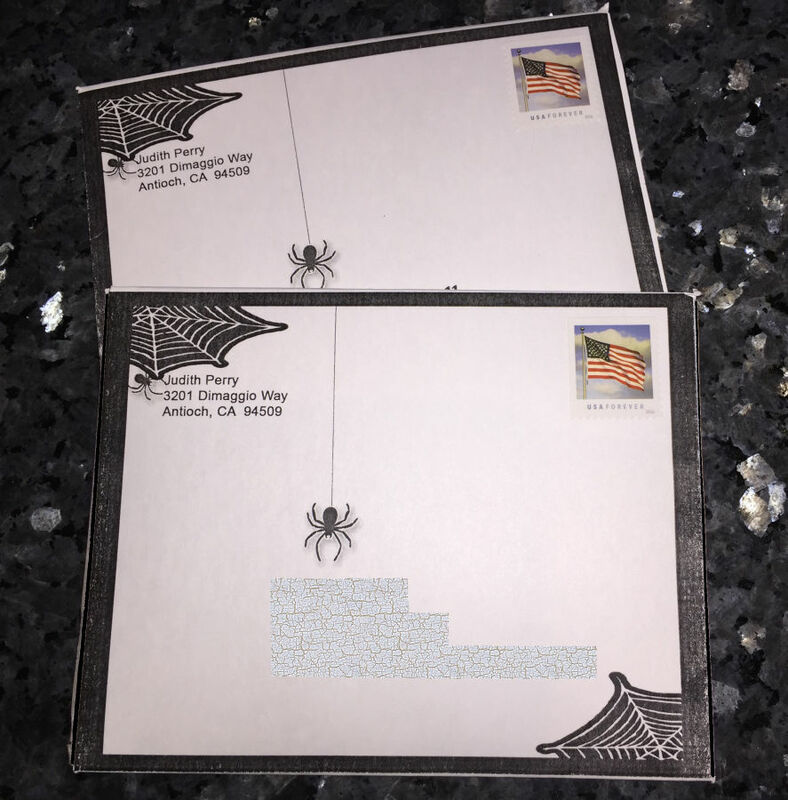 I love your little spiders!! LOVE LOVE LOVE!!! And that smiling face!! 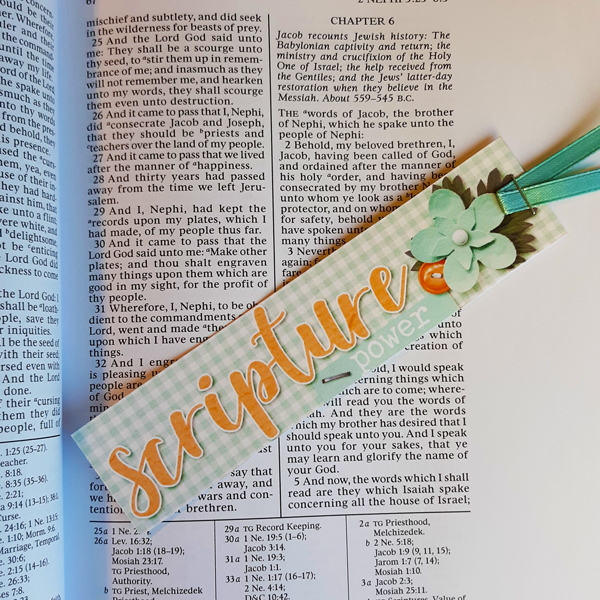 made a book mark for my scriptures. So cute Donna! I bet that they will love it! I just browsed through the past hybrid tutorials and found several that I am interested in doing. I love being able to pick a hybrid project that I can really put to use by choosing one that appeals specifically to me. I think it would be great to be able to choose more often. I realize that every month there are two to choose form but being able to choose from all of them is awesome! Thanks. Oh my gosh -- just seeing this and it is ADORABLE! Love it so much! 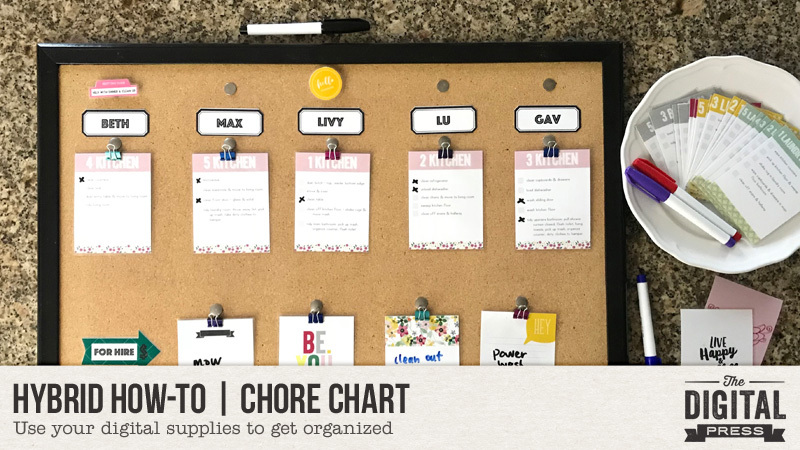 Here's my chore chart that I made for my grand niece & nephew... I left the chores blank so their Mom could fill them out. 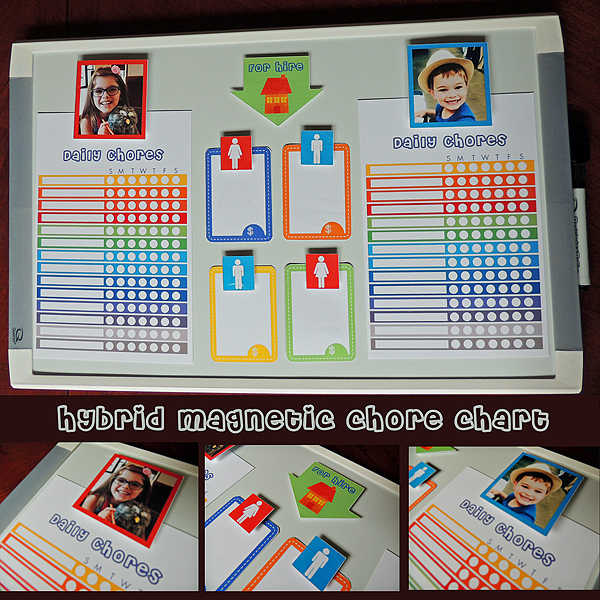 Their photos & the boy/girl icons are mounted on magnets to hold their chore lists and the for hire cards to the magnetic white board. The for hire arrow is applies with large pop dots. This was fun and I know my niece will appreciate it.